Every home is unique and stories like this are a great reminder of that. Chickens and ducks aside, are you currently in the early stages of shopping for a home in Grand Rapids? If so, taking your time to prepare ahead of the process will help you set yourself apart as a buyer in a competitive market. 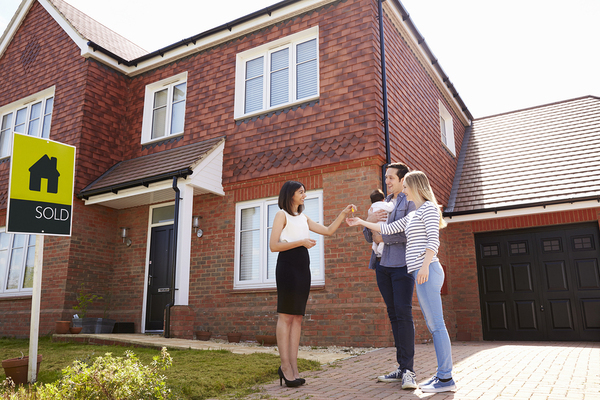 Here are some tips for first time homebuyers to consider. 1. Know your goals before you buy. It’s helpful to think about what your goals for the house will be, such as how long you plan to live there and whether you plan to grow your family during that time. Other goals might be to fix up the house while living there, and then sell it and purchase a bigger or newer home. It will be easier to evaluate your potential homes realistically if you know what you want to get out of the experience. It’s easy to get emotionally attached to a nicely staged home, so it’s important to make a list of must-haves before scheduling property walk-throughs. Another good idea is to view homes twice — the second time, you won’t be as dazzled and will be able to evaluate the home more objectively. 3. Consider all expenses involved. There are many unexpected expenses involved in a house purchase. Most homeowners expect to come up with a down payment, closing costs, and maybe some cash for furniture. They are usually aware of what their monthly payment will be, including principal, interest, taxes and insurance. However, they may be unaware of utility costs and the costs of commuting to work as well as maintenance and upgrades of the home over time. Be sure to do your due diligence before signing that mortgage contract. 4. Get all the information needed to make an informed decision. It’s one thing to find a home you like and could see your family living in, but much more information is needed before you move in. Consider the quality of the local schools, whether there is a homeowner’s association and its rules, the neighborhood dynamics, and particulars of the home inspection. Understanding the Grand Rapids area real estate market is also useful. 5. Prequalify for a mortgage. Getting prequalified will help you narrow down the size and type of house you can afford. Northpointe Bank is happy to help you get pre-qualified for a loan. The process is simple, and if there are any potential problems with your credit that may impact your mortgage, you will learn about them before you make an offer on a property in Grand Rapids. 6. Have an emergency fund. When you have a house, things will go wrong. And when that appliance gives out or the furnace won’t turn on, you won’t have a landlord to fix it for you. An emergency fund will help you take care of those problems when they happen. Are you ready to start shopping for your dream home in Grand Rapids? We can help. Contact us today for more information about our mortgage products and the pre-qualification process.